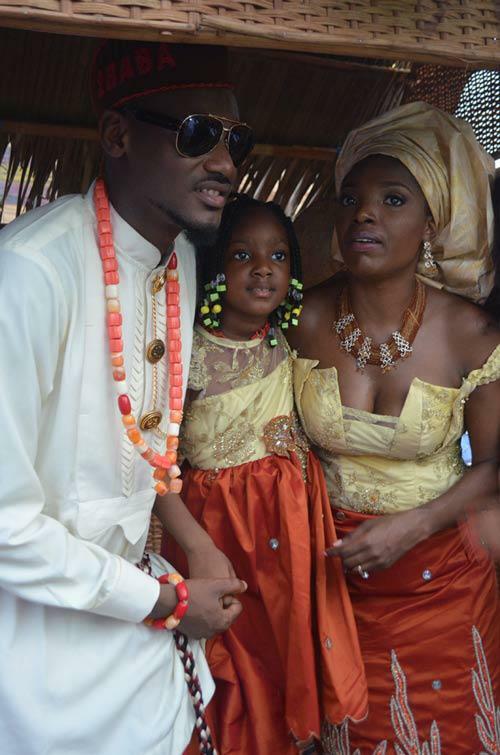 A photographer, Mr. Emmanuel Okolo, has filed a N120m copyright infringement suit against 2face, and wife, Annie. The photographer sued the couple and one Mr. Anthonio Anifite before Justice Mohammed Idris of a Federal High Court in Lagos,Punch reports. He alleged that the defendants made use of some photographs he took at the traditional wedding of Mr. and Mrs. Idibia in Uyo, Akwa Ibom State in 2013 without duly attributing the works to him or acknowledging him contrary to an alleged agreement. The photographer,claimed that the defendants wrote ‘2faceonline.com’ across 148 out of the 355 high-resolution photographs he took at the couple’s wedding and uploaded them on 2face’s official website, thereby denying him credit and referral opportunities. He claimed that days after the wedding, Annie called him on the telephone requesting copies of the wedding photographs and that upon sending them to her, Annie complained about the watermark of Papilomenxy studios reflecting on them. According to the photographer, Annie later sent the 2nd defendant to negotiate with the photographer on the terms that the photographs should be released without watermarks. The photographer claimed to have then released 355 high-resolution photographs from the wedding to Anifite free of charge on the agreement that whenever and wherever they were used, the copyright would be credited to his company. He, however, claimed that the defendants breached the terms of the signed agreement and went ahead to write ‘2faceonline.com’ across 148 of the photographs that they uploaded on 2face’s official website. The photographer, who described himself as “a certified film maker from the prestigious London Film Academy” and an holder of a Masters of Arts degree from Cardiff School of Creative and Cultural Industries, South Wales, United Kingdom, claimed to have suffered general and exemplary damages for which he is seeking N120m compensation from 2face, Annie and Anifite. But the defendants have not only urged Justice Idris to dismiss the photographer’s suit but they also filed a counterclaim wherein they demanded N150m damages from him and his studio. They claimed that the photographer crashed into the venue of their traditional wedding, took pictures and circulated same for commercial gains without their permission. They claimed that soon after their wedding, they noticed some strange versions of their wedding pictures circulating online with Papilonmexy studio watermark and after painstaking findings, they traced them to the photographer. They claimed that upon locating the photographer and expressing their displeasure, he pleaded with them while lamenting that he was hard hit by a downturn in the still photography business and sought any future engagement with them. They claimed that the photographer forced the photographs on them, saying he wanted to leverage on their popularity to get referrals.